Why Codestone is backing Team “Like a Girl” as they face their next extreme challenge – 250km of desert footrace. Codestone is sponsoring a group of 13 young women to run what has been called the toughest footrace on earth. 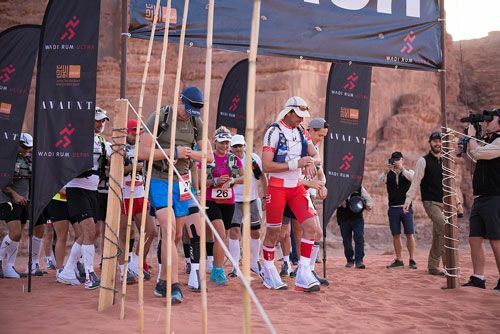 5 days, 250 km and desert conditions – the Wadi Rum Ultra 2018 in Jordan is the ultimate achievement in endurance sport. This is the story of how and why Codestone support Team “Like a Girl” that goes beyond your average sponsorship deal. In 2015, two girls set out to become the youngest and fastest females to row 3000 miles across the Atlantic Ocean. It did not go well. Extreme weather conditions and damaged equipment meant they ended up being rescued. For skipper Lauren Morton the fact that they had failed to complete the race – despite all they had endured physically and mentally – ‘ate away at her soul’. She knew they needed to finish the race, and finish well. What happened next would change the trajectory of her life and create a new platform for positive change. Lauren explains how Team Like a Girl (TLAG) came about: “The second time round, I wanted there to be a purpose behind rowing the Atlantic Ocean that would go beyond my own personal achievement. I looked at different causes and social movements and kept coming back to the theme of female empowerment and encouraging equal rights, especially in adventure and endurance sport, which is extremely male dominated. I wanted to set the benchmark for what women could achieve – and not just in the ocean rowing community. I wanted to change perceptions about what women are capable of. The inspiration for the team name, was inspired by the Always #Likeagirl campaign that turned into a symbol of female empowerment challenging how society uses the expression “doing something like a girl’ in a derogatory way. Lauren met with many potential sponsors and was turned away. The initial failure created a lot of negativity. The CEOs and potential sponsors – mostly male – that she met were very forthright in saying “I will not sponsor you because, fundamentally, I think you can’t do it”. It was a hard pill to swallow. Codestone sponsored the Row Like A Girl team who not only completed the 3000-mile challenge across the Atlantic Ocean, but came second out of 26 teams, breaking two world records. 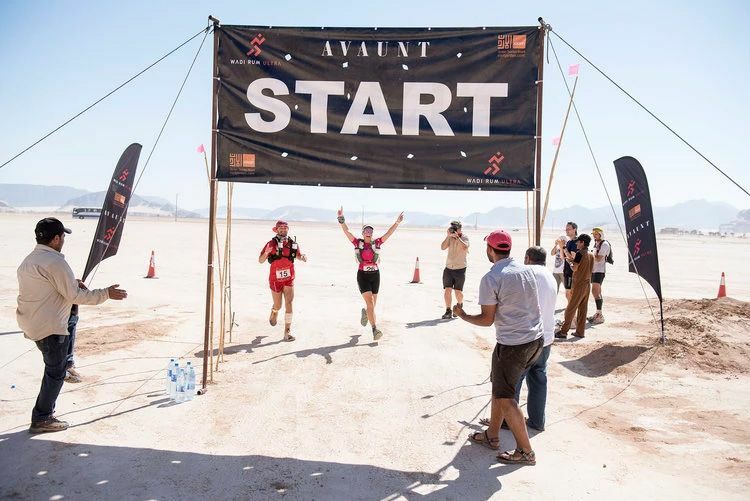 With a spectacular history of success now behind them, and having created the momentum for a new “Like a Girl” platform for empowering women, Codestone is now supporting the team in their next challenge: the Wadi Rum Ultra – an extreme footrace that takes place in Jordan on 5-10 October, 2018. Go TLAG! We believe you can. We know you will.